CollegeBudget Deals | CollegeBudget Cares. CollegeBudget means collective action for causes too. Students care about making an impact, and so do we. We've teamed with HonorSociety.org to create a platform to help students initiate causes, rally support and raise funds collectively. We regularly feature charity deals where all proceeds are donated to charity. Over $40,000 Donated to Date! Pediatric Aids Coalition via "Dance Marathon at UCLA, Presented by CollegeBudget.com"
American Red Cross Japan Tsunami Fund. Thank you for helping us raise $5,000 for this cause! Thank you for helping us raise $30,000 for this cause! 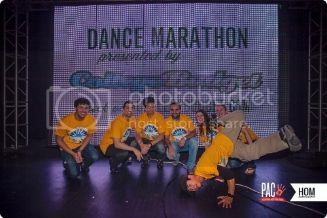 The CollegeBudget Team enjoying Dance Marathon! Dance Marathon in full swing. 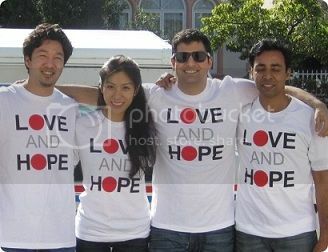 The CollegeBudget Team enjoying our Love and Hope T-shirts! 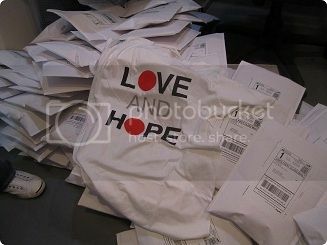 We hand packed these shirts. Hope you can feel the love. 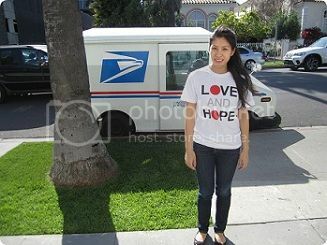 Carol saying bye to our shirts when postman comes.